Joaquin Oliver was 17 when he died in Parkland, Florida just over a year ago. He was killed among 16 others killed at Marjory Stoneman Douglas High School by a young man armed with an assault rifle made by a Massachusetts company: Smith & Wesson. The billboard was designed by Joaquin’s father Manny Oliver, a Florida artist of Venezuelan descent. 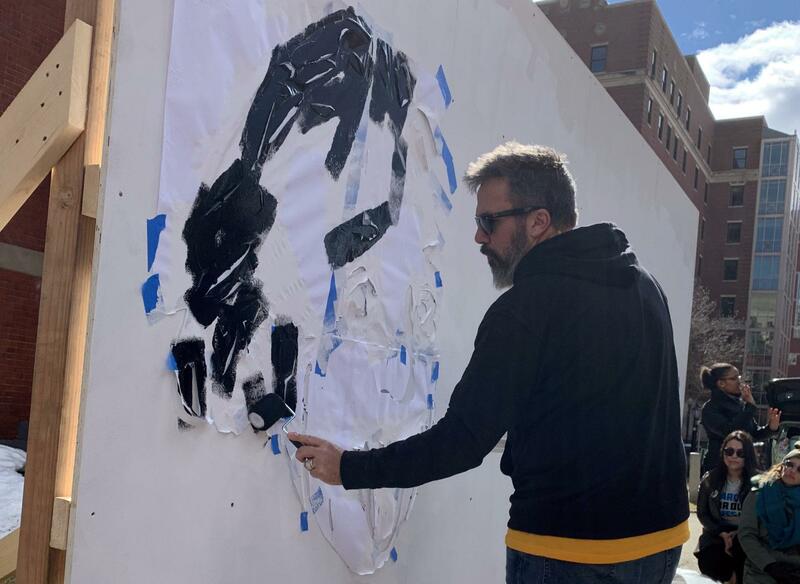 He brought a pop-up art display to Boston’s South End on Sunday, at the end of a three-day youth summit on gun violence prevention. Oliver says it shouldn’t require losing your child in a shooting to support good sense gun policy. High school students from around New England came to the weekend summit, hosted by the Boston University School of Public Health, as well as March for Our Lives: Boston and Stop Handgun Violence. They wrote to legislators in their states and participated in workshops on gun trafficking and gun laws. Standing next to her 11-year-old daughter, Samantha McGarry, of Framingam, said it was the Sandy Hook shooting that caused her to become a gun control activist. McGarry is originally from England, and she says American gun culture continues to be a culture shock for her. Gun violence prevention advocates are already preparing for their next somber anniversary — April 20, 20 years since the shooting at Columbine High School. On Monday night at UMass Amherst, Manny Oliver was set to speak about his work in the wake of his son’s death. Students across the country are walking out of school Friday to advocate for gun control. In Massachusetts, where schools are closed for vacation week, local activists are holding a community conversation in Springfield. There will be no marching. There will be no school walkouts. Only a day of reflection and service and, perhaps most consequential, a time to grieve. 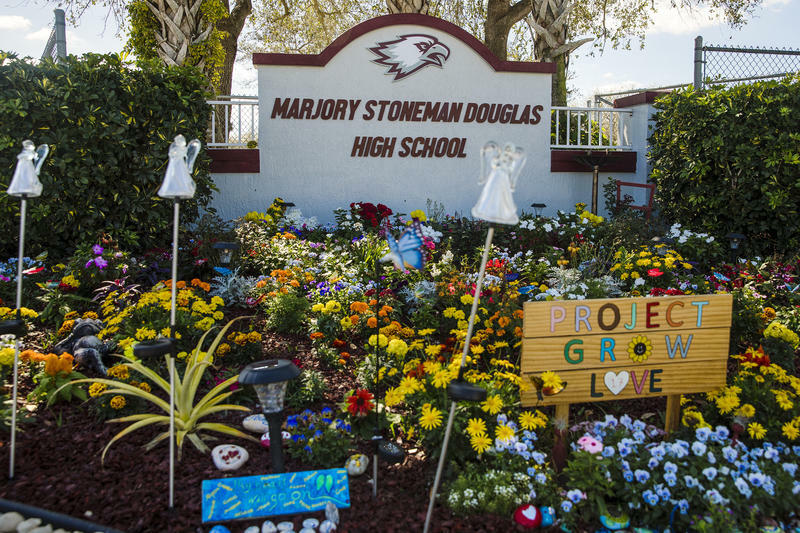 That is how many of the Parkland, Fla., survivors turned activists plan to spend Thursday, the first anniversary of the shooting at Marjory Stoneman Douglas High School.